Austin Real Estate is as diverse as the people who reside here. So are its real estate agents. If you are looking for an honest and present Realtor who stands with you throughout your real estate sale, purchase, or investment, let's get together! Years of experience + a fun and positive attitude won't let you down. Austin and the surrounding communities have something unique to offer everyone. 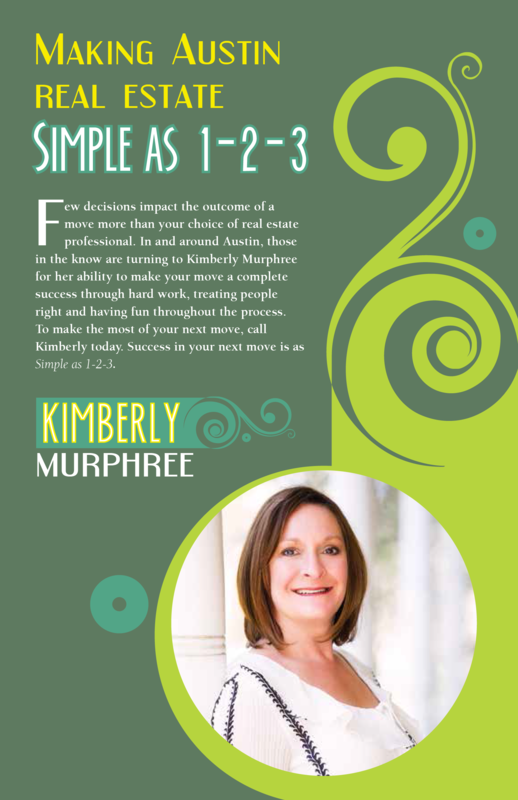 Whether you are looking to buy or sell, I am here to guide you and keep you on the right path. Looking to connect in South/Southwest Austin? Check out my blog Meet Up page. Neighborhood workout group on the 1st Saturday of the month and other activities in Austin are featured, and I'd love to see you there. Want to get started searching for homes? Go for it! My website breaks out neighborhoods & communities all over Austin & surrounding areas so you can get a feel for what you are seeing online!